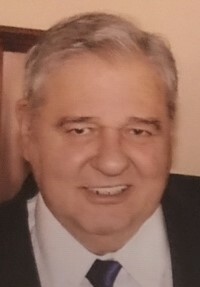 Age 78 of Portsmouth, went to be with the Lord on Saturday, April 6, 2019 at SOMC Hospital in Portsmouth. He was born September 29, 1940 in Portsmouth to Oliver E. and Mary Louella (Patten) Blakeman. A 1958 Clay High School graduate, he was a member of the Cedar Street Church of Christ in Christian Union. He began his professional career by helping his father build homes. He went on to work for Peck Lumber Company, Carolina Lumber Company, and Charlie Williams Home Builders. He took a position as an Operating Engineer for the Ohio Asphalt Company and worked there until he retired in 1992 as a member of the Local #18. Wick had an infectious smile, loved to laugh and make others laugh, and spent many evenings at the New Boston Walmart with friends, meeting and greeting the many people who came through the doors. He enjoyed long drives, bowling, and most of all spending time with his family. He was married for over 56 years to his loving wife, Sandy and will be greatly missed by his family and friends. Wick is survived by his wife, Sandy (Park) Blakeman; son, Gary (Lynda) Blakeman of Cincinnati; daughter, Stephanie Blakeman of Cincinnati; grandchild, LaShawn (Jonathan) Clark; four great-grandchildren, KeVasia Richardson, Kenecia Robinson, Jonaia Clark, Jonathan Clark; two great-great-grandchildren, KeMaia and Troy Richardson; one brother, Ralph Blakeman of West Portsmouth; one sister, Cathy (Len) Pridemore of Portsmouth; sisters-in-law, Debby Maple of Cincinnati, Mary (Rick) Palencia of IN, Allison (Dutch) Flower of CA ; brother-in-law, Edwin (Wilamehine) Park of TX; many nieces and nephews. In addition to his parents, he was preceded in death by his son, Wendell “Wicky” Lewis Blakeman; sisters, Mary Ward and Justina Epps; brothers, Sandy Blakeman, Henry Blakeman, Kenneth Nance, Clyde Nance, Richard Nance; niece, Leah Maple; nephews, Robert Pridemore, Jeff Blakeman. Funeral services will be 1:00 p.m. Wednesday, April 10, 2019 at Cedar Street Church of Christ in Christian Union with Pastor Brad Angus officiating. Interment will follow at Sunset Cemetery in Wheelersburg. Friends may call on Tuesday from 5 – 8 p.m. at D.W. SWICK-NELSON FUNERAL HOME in New Boston and one hour prior to the service at the church on Wednesday. Fond memories and expressions of condolence may be shared at www.DWSwickNelsonFuneralHome.com.